The Samsung Galaxy Note 5 (marketed as Samsung Galaxy Note5) is an Android phablet smartphone developed and produced by Samsung Electronics. Unveiled on 13 August 2015, it is the successor to the Galaxy Note 4 and part of the Samsung Galaxy Note series. First major update: Android 6.0.1 "Marshmallow"
The device received positive reviews from critics, who praised the upgraded build quality over prior models, along with improvements to its performance, camera, and other changes. Similarly to the S6, Samsung was criticized for making the Galaxy Note 5's battery non-removable, and removing the ability to expand its storage via microSD. It was argued that these changes potentially alienated power users—especially because the Galaxy Note series had historically been oriented towards this segment of the overall market. The Galaxy Note 5 was briefly succeeded by the Samsung Galaxy Note 7, released in September 2016. However, that device was ultimately recalled and pulled from the market after repeated incidents where batteries overheated and caught on fire. The discontinued Note 7 was later re-launched as Galaxy Note Fan Edition in July 2017. DXO Labs gave the Note 5 a dxomark of 85 (a new dxomark of 82). 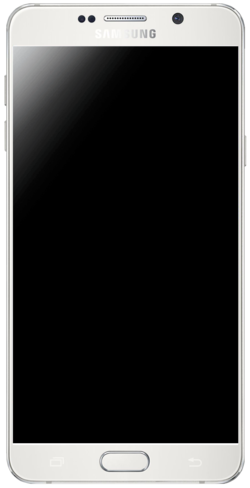 The Galaxy Note 5 adopts a similar design and construction to the Galaxy S6, featuring a unibody metal frame and glass backing, although unlike the standard S6, the back of the device is curved. It is offered in dark blue, white, gold, and silver color finishes. The storage slot for the S Pen stylus uses a spring-loaded mechanism to eject the pen. The Galaxy Note 5 has a non-removable 3,000 mAh lithium-ion battery and supports the Qi open interface standard. The Note 5 features a 5.7-inch 1440p Super AMOLED display. It is powered by a 64-bit Exynos 7 Octa 7420 system-on-chip, consisting of four 2.1 GHz Cortex-A57 cores, and four 1.5 GHz Cortex-A53 cores, and 4 GB of LPDDR4 RAM. The Galaxy Note 5 is available with either 32 GB or 64 GB of storage (a special "Winter Edition" exclusive to South Korea offers 128 GB storage), and utilizes a 3020 mAh battery with wireless and fast charging support. Similarly to the S6, the Note 5 does not offer expandable storage or the ability to remove the battery, unlike its predecessor. As with the S6, the fingerprint scanner in the home button now uses a touch-based scanning mechanism rather than swipe-based, and the device also supports Samsung Pay. The 16-megapixel rear-facing camera is identical to the Galaxy S6, with a f/1.9 aperture, optical image stabilization, object tracking autofocus, and real-time HDR. The Galaxy Note 5 shipped with Android Lollipop. The new "Screen off memo" feature allows the phone to be awoken directly to a note screen when the stylus is removed. The Camera app on the Note 5 also allows public and private livestreaming directly to YouTube, and supports export of RAW images. In February 2016, Samsung began to release Marshmallow for the Galaxy Note 5. The Galaxy Note 5 also gradually received the Nougat (Android 7.0) update with TouchWiz Grace UX during the first and second quarters of 2017. The Galaxy Note 5 was not released in Europe, in favour of solely marketing the S6 Edge+ in the region. Samsung European Vice President of Brand and Marketing Rory O'Neill explained that the decision was based upon market research showing that consumers in the region primarily viewed large-screen phones as being oriented towards entertainment, and not productivity. The Verge complimented the higher-quality build of the Galaxy Note 5, describing it as being a "more humane device" due to its lighter build with thinner bezels in comparison to the Galaxy Note 4, along with its display, performance and additional S Pen features. However, the Galaxy Note 5 was panned for not offering a removable battery, expandable storage, or a 128 GB model, considering these oversights to be inappropriate for a device in a series that was "unapologetically meant for power users." The device was also described as being the result of Samsung "[holding themselves] back", having dropped the "old, unfettered excessiveness of the old Note" in favour of developing a "consumer-friendly" device with only minor upgrades over the S6. Techradar shared a similar degree of positivity towards the Galaxy Note 5, noting that "the sacrifices Samsung felt it needed to make to get to that premium Note 5 design have turned off some longtime users. Thankfully, there's a lot more to like about this phone upgrade than dislike." Following its release, it was discovered that inserting the pen into the Note 5's storage slot backwards could result in permanent damage to the spring mechanism, making the stylus become stuck, or damaging the sensor that detects when the S Pen is removed; all of these scenarios render the stylus unusable. Samsung was aware of this issue and stated that it had provided a warning against backward pen insertion in the Galaxy Note 5's manual, but placed more prominent warning labels on the device itself on later shipments. In January 2016, it was reported that the design of the mechanism had been revised to allow the safe ejection of a pen accidentally inserted backwards, without causing damage to the sensor. In its first three days on sale, over 75,000 units of the Note 5 (together with the S6 Edge+) were sold in South Korea, exceeding the rate of sales of the previous year's models. A study by AnTuTu detailed that this smartphone was one of the most popular Android devices in the first half of 2016. ^ "Galaxy Note 5 pops up with code name 'Project Noble'". techradar. 29 April 2015. Retrieved 17 November 2015. ^ "Samsung Galaxy Note 5". 13 August 2015. ^ "Samsung erroneously lists 128GB Galaxy Note 5 and S6 Edge+". The Verge. 14 August 2015. ^ "Samsung Galaxy Note5 - Full phone specifications". www.gsmarena.com. Retrieved 1 April 2018. ^ "Display Dimensions Calculator". thirdculture.com. Retrieved 1 April 2018. ^ "Galaxy Note 5 & S6 Edge+ Using ISOCELL Camera Sensors". Android Headlines. ^ "Samsung Galaxy S6 uses a Sony IMX240 camera sensor". GSMArena.com. ^ a b "Samsung Galaxy S6 Edge+ and Galaxy Note 5 unveiled". BBC News. Retrieved 27 February 2016. ^ "The Galaxy Note 7 is dead". The Verge. Vox Media. Retrieved 11 October 2016. ^ "Samsung permanently stops Galaxy Note 7 production". BBC News. 11 October 2016. ^ a b c d e f g h "Samsung Galaxy Note 5 review". Techradar. Future. Retrieved 27 February 2016. ^ "Samsung Galaxy Note 5 Firmware review". Firmware File Info. Future. Retrieved 27 February 2018. ^ a b "Samsung fixes the Galaxy Note 5's backwards pen problem". Engadget. Retrieved 27 February 2016. ^ Painter, Lewis (18 March 2015). "How to add Qi wireless charging capabilities to your smartphone". TechAdvisor. Retrieved 18 November 2016 – via PC Advisor. ^ "Samsung Announces the Galaxy S6 and S6 Edge". Anandtech. Purch Inc. 1 March 2015. Retrieved 1 March 2015. ^ "Samsung unpacks Galaxy S6 and Galaxy S6 edge at MWC 2015". GSMArena. Retrieved 1 March 2015. ^ "Samsung bumps up Galaxy Note 5 to 128 gigabytes". CNET. Retrieved 27 February 2016. ^ "Samsung takes aim at iPhone 6's camera, suggests the Galaxy S6 camera is way better in low light". PhoneArena. Retrieved 1 March 2015. ^ "Samsung commences Marshmallow roll out for the Galaxy Note 5". androidcentral.com. 19 February 2016. Retrieved 1 April 2018. ^ "Samsung didn't launch the Note 5 in the UK because you're not productive enough". Techradar. Retrieved 27 February 2016. ^ "Samsung Galaxy Note 5 review". The Verge. 20 August 2015. Retrieved 26 August 2015. ^ "Inserting your S Pen backwards could damage your phone". Phonearena. 24 August 2015. Retrieved 26 August 2015. ^ "Samsung on Galaxy Note 5 broken stylus slot: Read the manual". The Verge. 25 August 2015. Retrieved 26 August 2015. ^ "Over 75,000 units sold in 3 days". Yonhap. 23 August 2015. Retrieved 25 August 2015. ^ "Samsung Galaxy Note 5 and S6 Edge+ are selling faster than Note 4 and Note Edge". Phonearena. 24 August 2015. Retrieved 25 August 2015. ^ "Samsung Galaxy Note 5 Is The Most Popular Android Smartphone In The World". The Cryd's Daily. Retrieved 2016-07-10. ^ "AnTuTu: Samsung Galaxy Note5 was world's most popular smartphone in H1 2016". Retrieved 2016-07-10. ^ "Top 10 populaire smartphones h1 2016 volgens Antutu" (in Dutch). 2016-07-07. Retrieved 2016-07-10. Wikimedia Commons has media related to Samsung Galaxy Note 5.